Some know it as Missoula Children’s Theatre, some as Missoula Community Theatre. Some recognize it from the red trucks, and others from the distinctive building in downtown Missoula. Regardless of where you know them from, MCT Inc., has been an integral part of Missoula’s arts and theatre scene for decades. 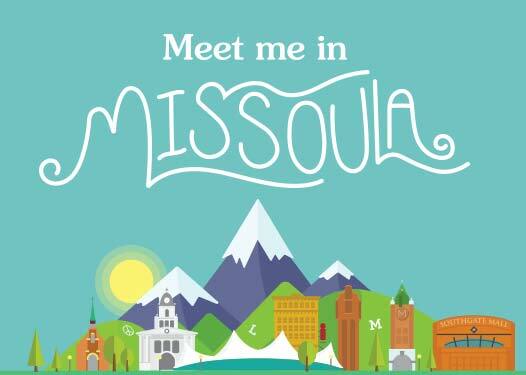 Each season, devoted volunteers, passionate staff members, and the supportive Missoula locals come together to support individuals, friends, family and community members alike. 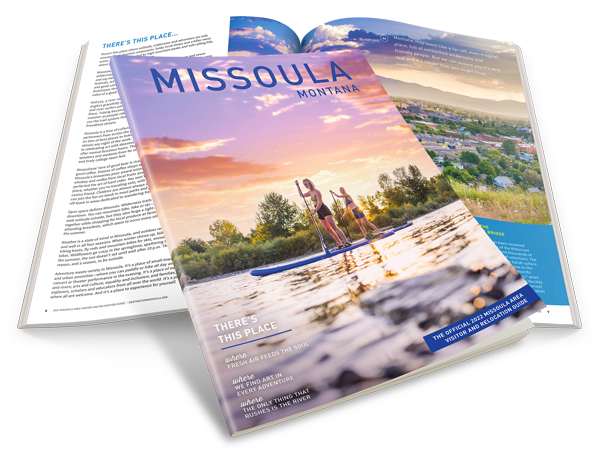 Terri Elander, the International & Public Relations Director at MCT, sat down with Destination Missoula to discuss the foundation of the organization, the motors that keep this impressive operation rolling, and the importance of play. “What we do, for the most part, is produce plays. But that’s not the end of the story. In front of and behind the curtain is all the effort, talent and science that creates the magic. The math needed for patterns and lighting design and set building. It requires a great deal of professional training and eyes and elbow grease, and it’s just ridiculously satisfying. When lights go out in businesses around town, those on the MCT stage are coming on. In a given week, especially in the summer when our touring teams are traveling, we can have teams of Tour Actor/Directors (TADs) in 12 time zones at once,” Terri explains. Now, some of you might be asking yourselves the following questions: what exactly is MCT? Is it a community theatre or children’s theatre? And what is the deal with the red trucks? Understandably, MCT can be a bit of a confusing lot to take in. Unlike many theatres, MCT is dynamic, multi-faceted, and its reach extends way beyond the borders of Missoula, Montana. “In some ways, MCT is a very simple company. We have a children’s program locally and on the road and we have a local community theatre, and that may sound simple enough. But we are so much more than theatre,” Terri explains. It is true. Simple in concept but complex in execution, MCT is so much more than a community theatre. Most community theatres impact the local community by putting on productions, and while the lasting impact of the creative arts is immeasurable, the community theatre usually exists solely within the community in which is resides. MCT, however, is not that kind of company. The international children’s tour is an entirely unique facet to the theatre, and it takes MCT’s influence and spreads it all across the globe. In the present day, MCT hosts camps and children’s plays and fundraisers and full-scale community theatre productions, as well as touring across North America and around the world spreading the love of theatre near and far. It started, however, simply enough: with a man and a van, and the journey is as whimsical as it was fateful. MCT grew first out of the children’s theatre and the tour, followed by the birth of the community theatre, which had its first full “season” in 1977. Each year, the community theatre produces five full-scale performances, featuring local actors, directors, costume designers, set designers, choreographers, and musicians. Nothing short of real dedication goes into each production. The actors are not professionals. In fact, they are members of the community: stay at home parents, doctors, lawyers, waitresses, nurses, counselors. Everything you can think of, and they spend their nights and weekends in the theatre, rehearsing to put on a production for the community. “At first, they will rehearse in the evenings, 3 hours a night, 3-4 times a week for a few weeks. As opening night approaches, the rehearsal schedule gets more intense. Everyone’s commitment is critical for the show’s success, so it’s truly a gift that the actors and tech crew give to our community.” The end result is a 2 or 3-week run of public performances to enjoy. “Theatre is one of these great activities where you don’t divide by gender or grade level; yet it’s still a team. One of my MCT colleagues, along with his wife (a full-time school teacher) and their two daughters (one in high school and one in middle school) were all in the Missoula Community Theatre production of The Little Mermaid. They basically dedicated nearly three months of their time to share that experience with each other and the entire community. And they had a blast being together on stage,” Terri shares. Missoula is an arts town, so it is no surprise that the community comes out performance after performance to support the local theatre. And that love spreads far and wide, starting in Missoula at MCT Center for the Performing Arts and radiating outward. It is hard work, but the staff keeps up their drive and motivation through what Terri calls “love letters” from people whose lives have been impacted by their work. The beauty in community theatre lies in the fact that it is, well, community oriented. Shows put on by members of the community for members of the community to enjoy. MCT is far from simple. Between the impressive tour schedule to summer camps and children’s classes all the way to full-scale community theatre productions, MCT strives to bring fun and play to all ages of people, and to spread the importance of the arts near and far.